In the 1st quarter of 2016 our shipyard accomplished 26 dry-dockings with all vessels completed and launched except for 2 that are still in progress. The largest and most complex job was the dry docking of a 250′ x 72′ crane barge with a 4100 Manitowoc crane on deck. The barge weighed approximately 1500 tons. We completed the ABS and USCG inspections on the barge in addition to water blasting the barge to bare metal with our three 40,000 psi UHP water blasters and crawlers. Once this was finished, the barge was coated with new epoxy paint and anti-fouling. All of this was executed within the tight three week time frame so the barge could get to its next job. 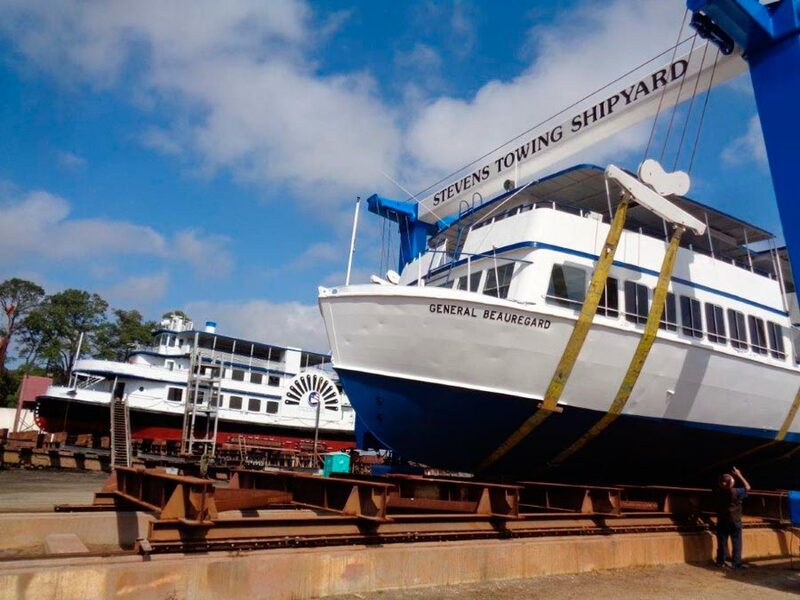 Please don’t hesitate to call us if you have anything you would like for us to look at for repair or dry dock. We currently have open slots available for July and August.